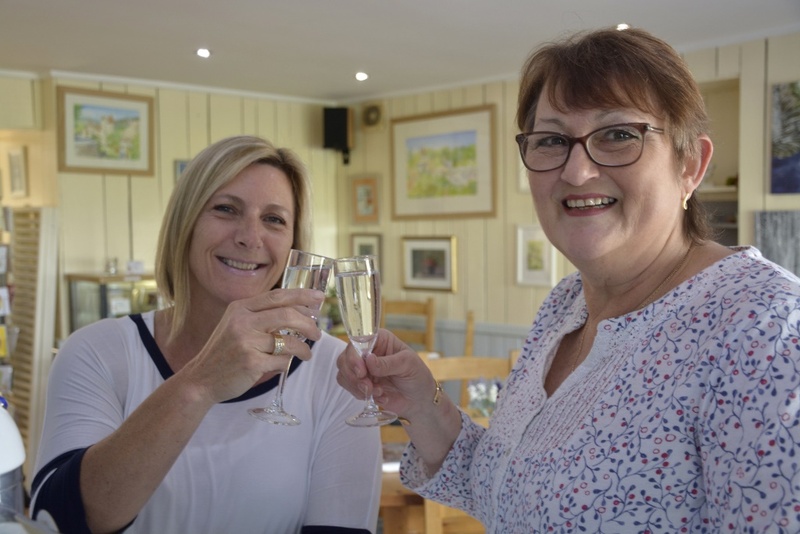 We have the honour to announce a change of ownership at our beloved Café Cour du Miracle, a charming English run café-restaurant located at the heart of one of France’s petites-cités-de-charactere, Vouvant. Karen says: “We have enjoyed our time at Cour du Miracle. We’ve met lovely people over the years, tourists and locals alike. We have good memories to carry away with us. Now it’s time to travel and enjoy our retirement. 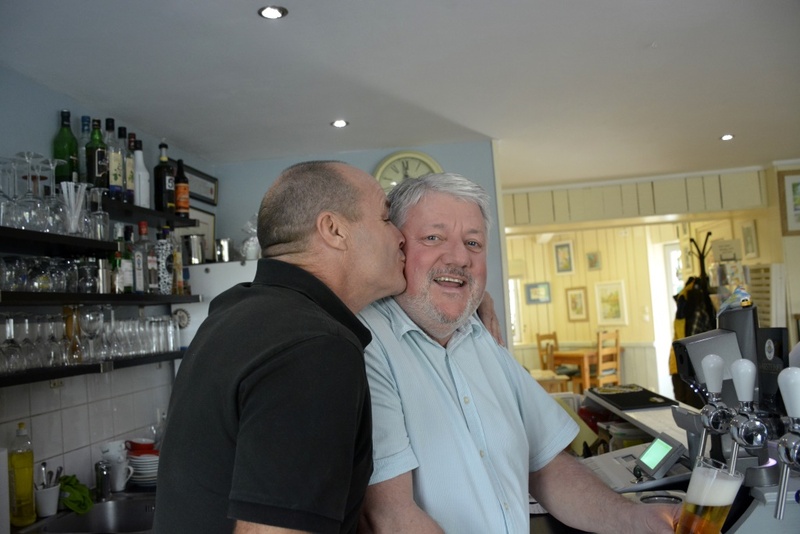 We have plans!” Paul and Karen would like to thank everybody for their loyal patronage and support over the years and they hope to see you in or around the Vendée. 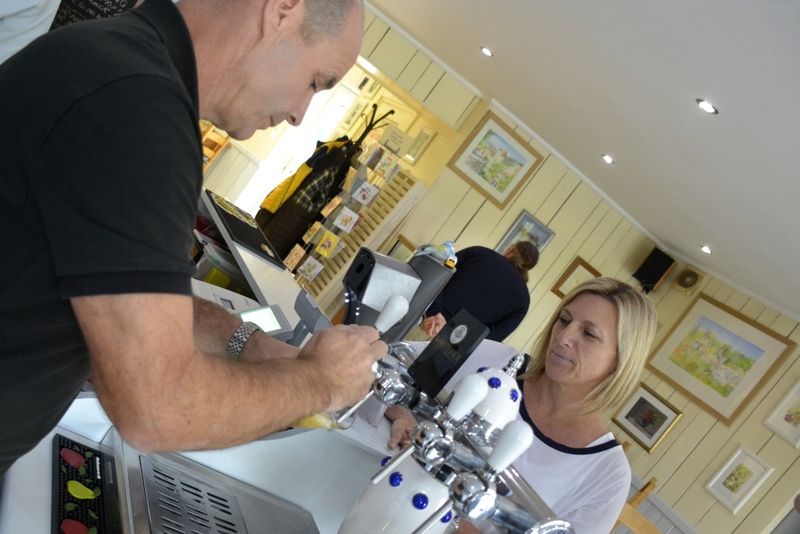 In recent weeks the new owners, Suzanne and Dean Richards, have been shadowing Karen and Paul at the café. They are British expats who have lived and worked in Australia for over twenty years. 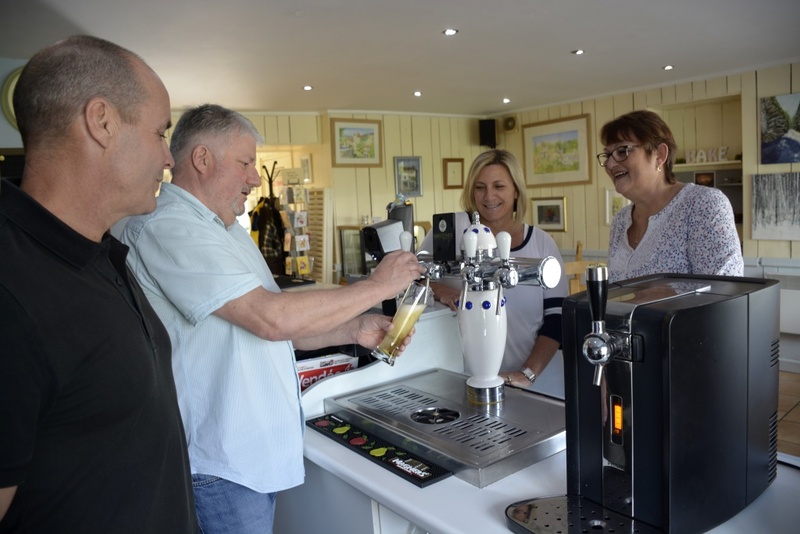 Suzanne and Dean hope to bring some of the café and coffee culture that is so popular in Australia, to the Vendée; while continuing le Cour du Miracle’s tradition of supporting the artist and tourism community in and around the medieval village. This entry was posted in Newsletters on April 3, 2019 by price.